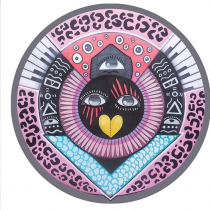 The Audiojack duo team up with cohort Kevin Knapp to release their heavy club weapon ‘Vibrate’ on Hot Creations. Berlin based Re.You and former Minus mainstay and Fun Records founder Barem take the reins for remix duty. Making his first appearance on the label with this remix, Re.You’s other releases can be found on Cocoon, Mobilee and Souvenir alongside second remixer Barem, a talented producer from Argentina. Texas-bred, San Francisco-schooled and Berlin based producer Kevin Knapp is no stranger to the Hot Creations imprint, having released his successful two track ‘The Heft EP’ earlier this year. Originally from Leeds, and now based in Ibiza, Audiojack are set to celebrate a decade of music-making with exciting new releases forthcoming on the likes of Crosstown Rebels, 2020 Vision, Tsuba and their own label Gruuv.